Garrelsite: Mineral information, data and localities. Named by C. Milton, J.M. Axelrod, and F.S. 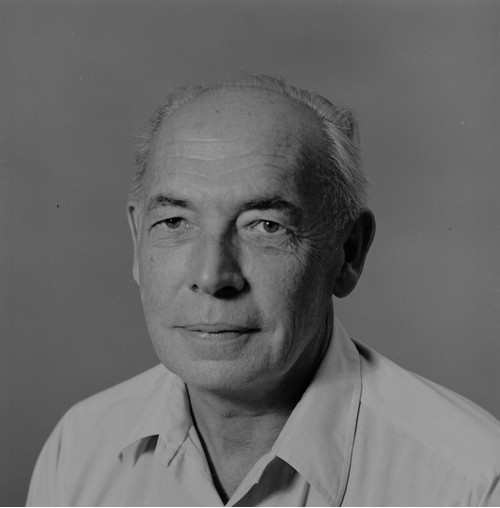 Grimaldi in 1955 in honor of Robert Minard Garrels (24 August 1916, Detroit, Michigan, USA – 8 March 1988, St. Petersburg, Florida, USA), geochemist. He was Chief, Solid State Group, Geochemistry and Petrology Branch, U. S. Geological Survey, when the mineral was discovered. He also was a professor at several institutions including Northwestern, Harvard, and U. Hawaii. His work on aqueous geochemistry was revolutionary. He was the recipient of several awards including the Penrose, Wollaston, and Roebling Medals. Milton, C., Axelrod, J.M., Grimaldi, F.S. (1955) New mineral, garrelsite (Ba.65Ca.29Mg.06)4H6Si2B6O20, from the Green River formation, Utah. Bulletin of the Geological Society of America: 66: 1597-1597. 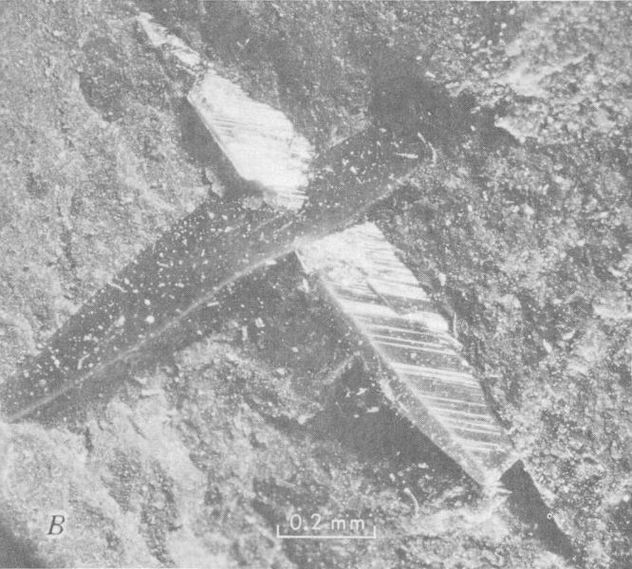 Fleischer, M. (1956) New mineral names. American Mineralogist: 41: 671-674. 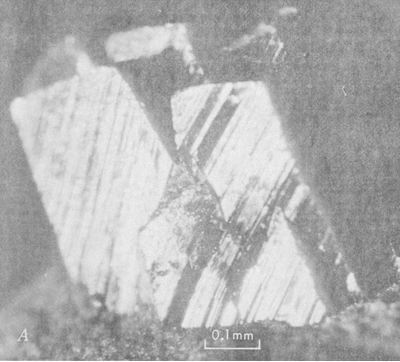 Ghose, S., Ulbrich, H. (1973) The crystal structure of the silicoborate garrelsite, NaBa3Si2B7O16(OH)4. Naturwissenschaften: 60: 349-350. Fleischer, M. (1974) New mineral names. American Mineralogist: 59: 632. Milton, C., Pabst, A. (1974) Garrelsite, NaBa3Si2B7O16(OH)4. United States Geological Survey Journal of Research: 2: 213-218. Ghose, S., Wan, C., Ulbrich, H.H. (1976) Structural chemistry of borosilicates. I. Garrelsite, NaBa3Si2B7O16(OH)4, a silicoborate with the pentaborate [B5O12]9- polyanion. 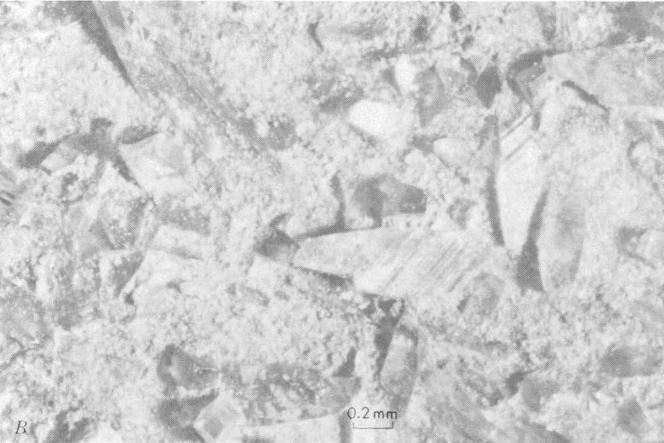 Acta Crystallographica: B32: 824-832. Morgan, V. and Erd, R.C. (1969) Minerals of the Kramer borate district, California California Division of Mines and Geology Mineral Information Service: 22(9&10): 152; Pemberton, H. Earl (1983), Minerals of California; Van Nostrand Reinholt Press: 512.